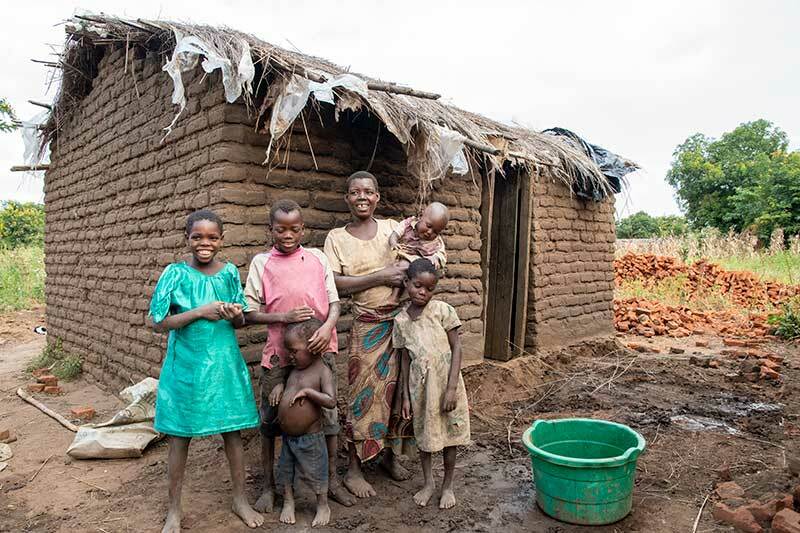 Together, we did more than just build her a house – we built her family a better future. Now, it’s time to do it again! 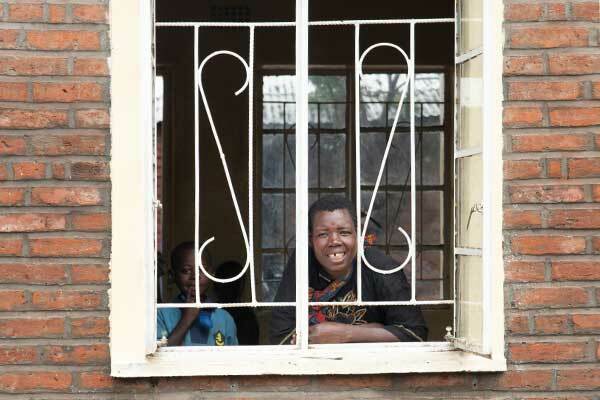 Whenever it rained, Zione’s old home flooded. She believed that her lifelong disability would always define her. She felt her children’s future were restricted because of her limitations. 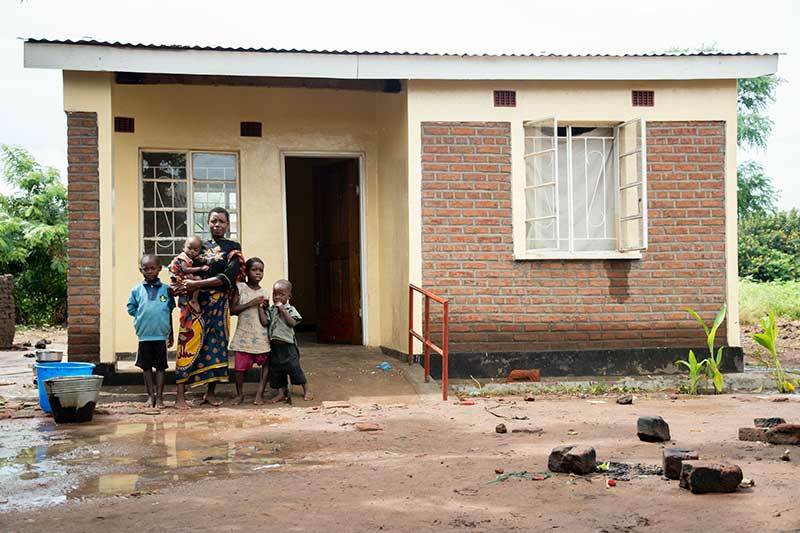 Zione’s new home has given her more than just a protective roof over her head…this one generous action has revised a lifetime of discrimination. Donors like you built her a house. And after she received the keys – Zione has a whole new perspective on life. The future’s secure and bright as Zione and her family can now afford school and food. This means they can build a better future. 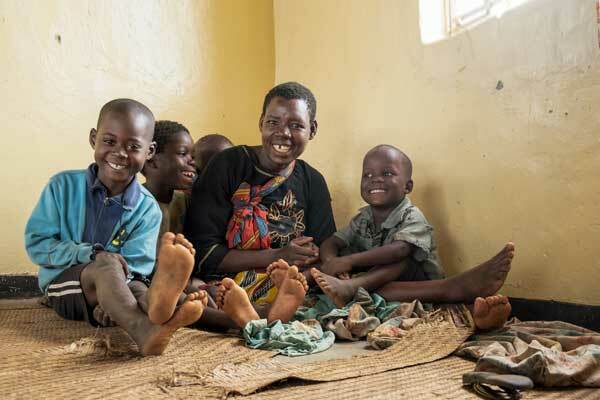 A safe, warm and dry home means Zione and her children can sleep in peace – instead of often waking up in fear of floods as they did before. Something as simple as a ramp means Zione now enters her own home with ease – making daily chores easier –making her feel more dignified. 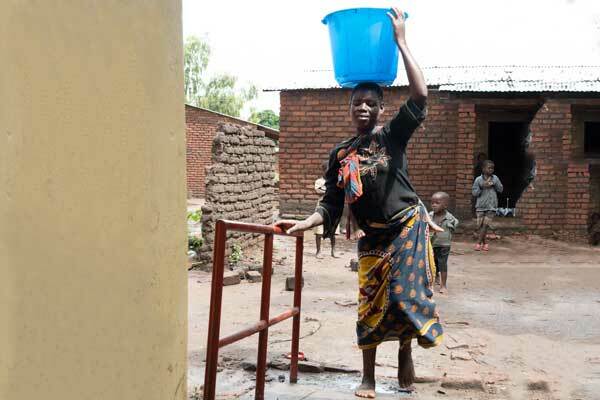 Our goal is to transform the lives of 44 Malawian families by providing homes for parents and children living with disability in poverty. 44 homes mean 44 families will have a new lease on life. Habitat for Humanity and Homes4Hope (group of visionary Hope and Healing International donors), will match your gift dollar-for-dollar. 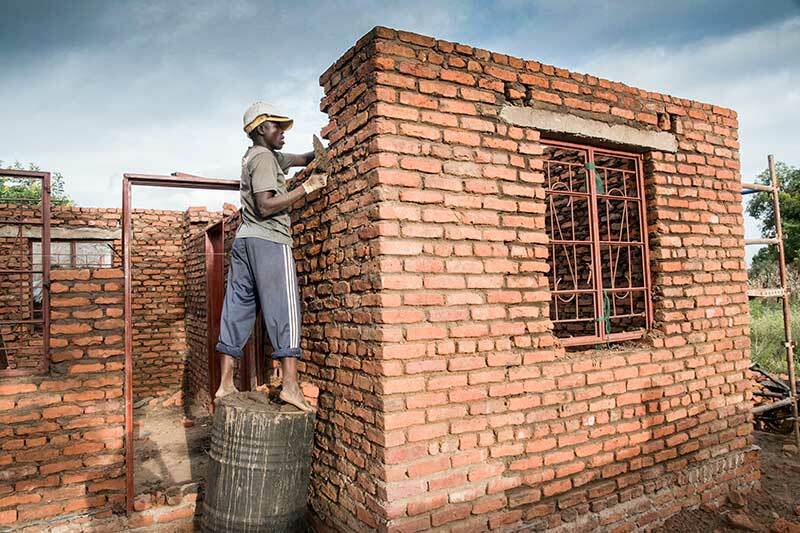 Your gift of $5,000 tripled is enough to build a home for a family. 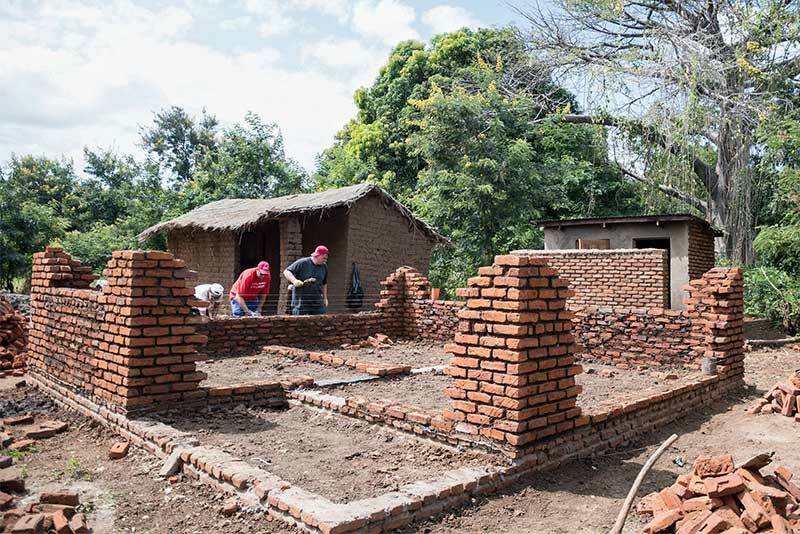 With the support of donors just like you and matching gifts – that means TRIPLE THE IMPACT – we will build 44 new homes in Malawi. 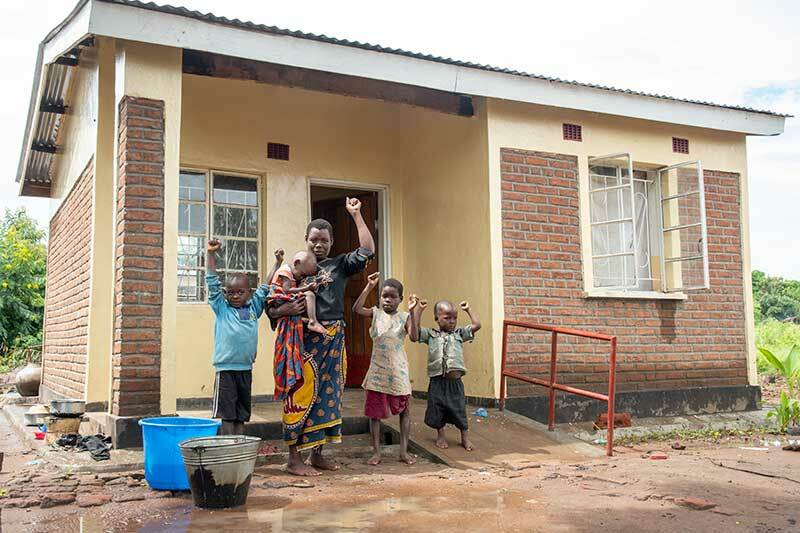 Improve the confidence level of 44 families living with disabilities by providing an accessible home. Improve the future of 44 families living with disabilities by conducting training in property and inheritances rights and individualized needed support. Improve the perception of 44 families living with disabilities by engaging local volunteers to help build homes and take part in educational community meetings. Muhajiri was struck with cerebral malaria when he was 14 years old. This illness means that four years later, he still thinks he is 14. He can no longer speak clearly. And…to move around he must crawl – even through his own dilapidated front door. When it rains at night his 60-year-old mother must pick up her grown child and carry him to safety from the certain flooding that will invade their home. With your donation, Muhajiri and his mom will receive an accessible debt & rental free home. A home that will open doors to save for their future. A place that will improve the occupational and physical therapy provided to him.